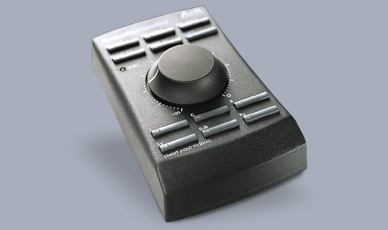 AIR Remote is a dedicated hardware remote control that ensures convenient daily operation. AIR Remote provides instant access to all significant operation parameters such as global volume, reference levels, preset recall as well as solo and mute status for each monitor. The AIR Remote is powered through a ‘TC Link’ cable which is connected any AIR monitor.